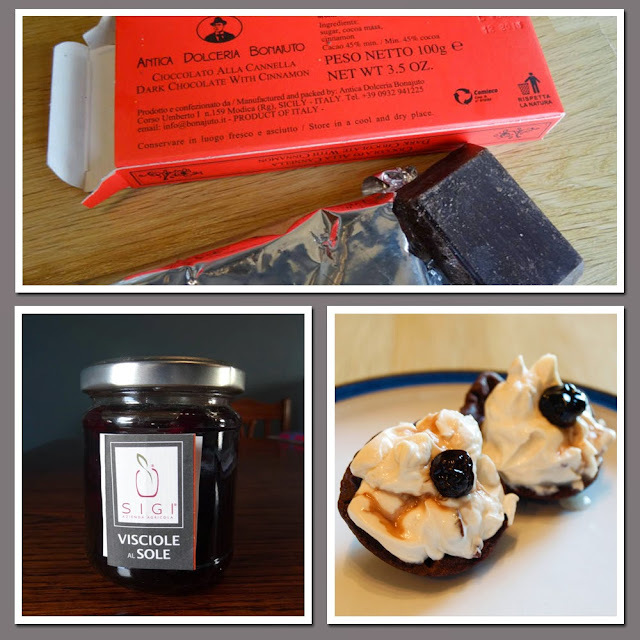 Time for another round up of tasty treats that have arrived at my Kitchen Table in May. Marks and Spencer are a very British company and they have introduced the Tastes of the British Isles range to celebrate all that's great about British food. There are over 300 delicious new food and drink products including 21st century twists on UK classics the revival of historical dishes and some great nationwide exposure of regional favourites. However, as soon as I spied the Black Treacle and Porter Ale Sauce and Marinade in the parcel I knew I couldn't wait to use it. I knew I would love it and I was right. 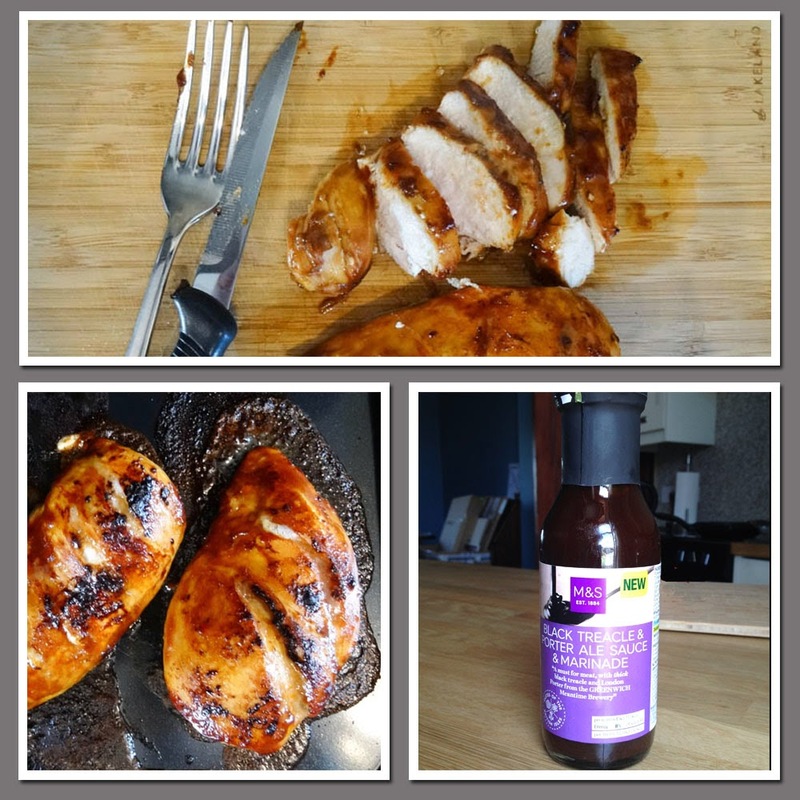 It's ideal for a quick marinade for any kind of meat. I marinaded some chicken breasts for a couple of hours, pan fried them to blacken the skin, then baked them in the oven for 20 minutes until cooked through and tender. The marinade added a delicious flavour, not too sweet. The chicken breasts were good served hot with some of the unused marinade heated and served as sauce. I also served the chicken cold with salad and it was equally good. With barbeque season upon us, this sauce would be ideal to pep up your barbie fare. More than 86 years on and Fragata Spanish olives are now sold across the world and remain a firm favourite and kitchen staple for millions of Spanish families. 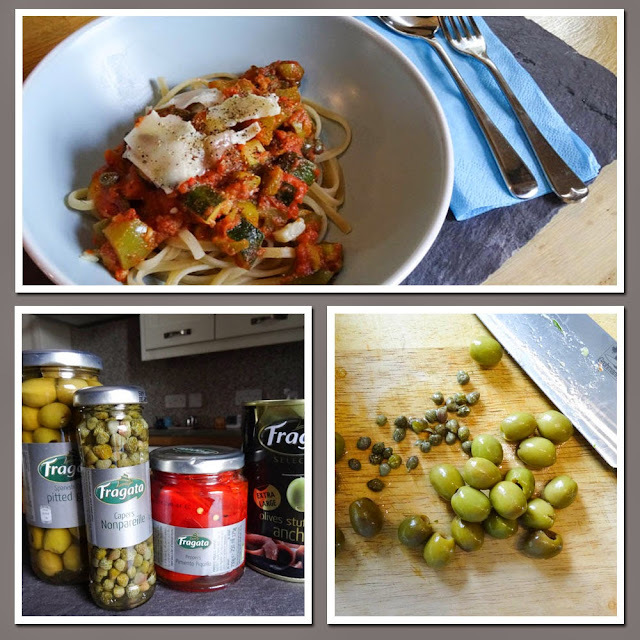 Fragata Spanish Olives can be used in hundreds of different ways to create authentic Mediterranean dishes and mouthwatering tapas. What better way to create a unique culinary corner of Spain in your own home – go on, Savour the Flavour of Spain! I'm a bit of an olive freak. I just love them in all their forms and I love to include them in my cooking. Fragata not only produce olives and olive oil, they have a wide range of products including Nonpareille capers and Pimiento Piquillo Peppers. Karen from Lavender and Lovage and I had a great response to the Great British Rhubarb Recipe Round Up. 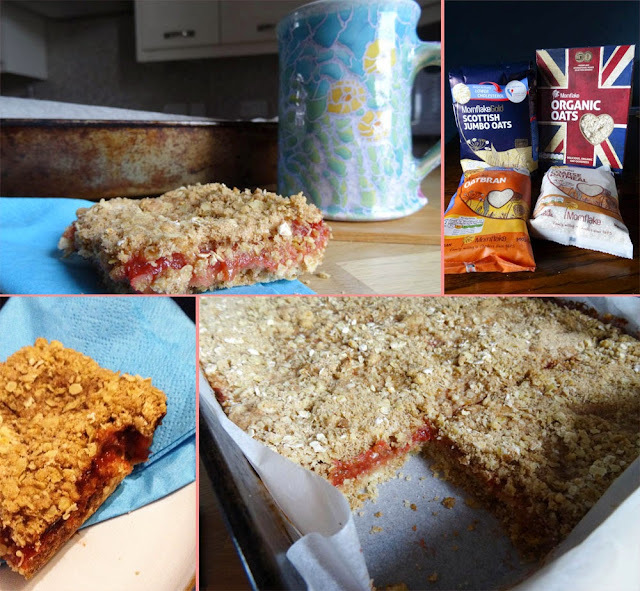 There are many fabulous ways to cook and bake with rhubarb linked up, one of these was Rhubarb Crumb Bars from Sue at A View from Great Island and what a brilliant recipe it is. It's really simple to make and includes rolled oats, so good for you too. I used Mornflake Organic Oats to make the Rhubarb Crumb Bars. I took these in to work and they were greatly appreciated, there were also a few requests for the recipe. Mornflake is the longest established oat miller in the UK (the 8th oldest British company) and have been milling the finest quality British oats in the same family since 1675. They are proud to be one of the few major family owned businesses in Britain and produce a full range of award-winning oats, oatmeal, muesli and granola for all the family, including organic and gluten free. Check out the recipes on their website for some inspiration. 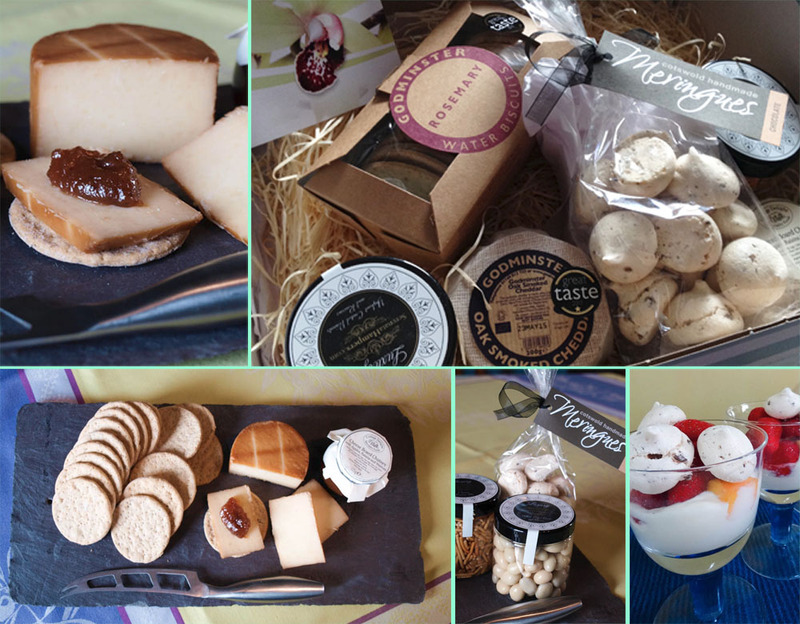 Serenata Flowers don't just deliver beautiful bouquets of flowers, they also have a brilliant range of hampers full of delicious food and wine. If you are looking for a gift to send to a friend or family member, there are so many different types of hamper there is bound to be one that would be perfect. The Godminster Vintage Organic Cheddar was superb, beautifully sweet and smoky and the water biscuits were the ideal way to eat the cheese as the rosemary flavour is subtle and doesn't overpower it. The Bombay Mix and Chocolate covered peanuts and raisins make lovely snacks for all the family and I used the Handmade Chocolate Meringues in a yogurt and strawberry dessert, they just melted in your mouth. The Little Luxuries Gift Box from Seranata Flowers costs £39.99 and delivery is included in the price. I received these products to review, I did not receive payment for the reviews and all opinions are my own. Gousto are a company who deliver everything you need to cook delicious healthy recipes, delivered weekly for you to make at home. You might wonder why you would do such a thing, but you only have to have tried one of their recipes to know that what you are getting is all the expertise of their chef in putting together fabulous flavours and none of the hassle of having to buy larger quantities of specialist ingredients that you may not use again. I've reviewed Gousto boxes before and really enjoyed all the recipes, I also learned a few different techniques that I have used again. 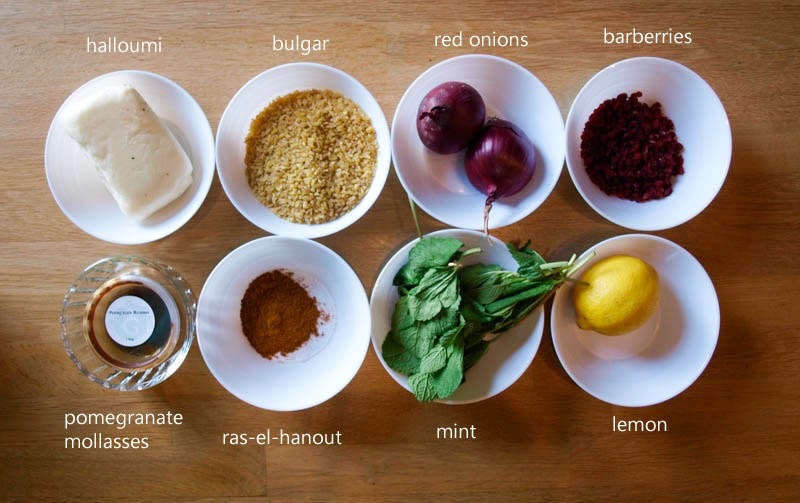 Here are the ingredients for the Persian Halloumi recipe. 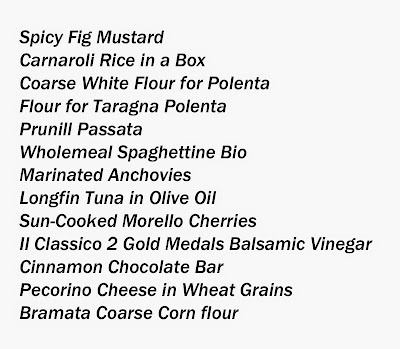 I was familiar with all of them except the barberries, which I have heard of but never tried. Toshiba Satellite Radius 11 - The ultimate cook along companion. We were guided through the recipe by Gousto Chef Alice, the Cookalong experience was quite intense and, unfortunately the connection was not too good for some of us. However, there was the Gousto recipe card to follow as well so, one way or another, we all managed to make the recipe which was really delicious. Boil a kettle. Add the bulgur to a pot with 275 ml of boiling water, cover with a lid over a medium-low heat. Meanwhile, put the barberries in a small bowl and add 100 ml of hot water, add 1 tbsp of sugar and mix well. Peel the onions, cut them in half and slice finely. Chop the mint finely and grate the zest of the lemon. Cut the lemon in half and squeeze the juice over the halloumi ,combine half the ras el hanout with 1 tsp of black pepper for the spice mix. 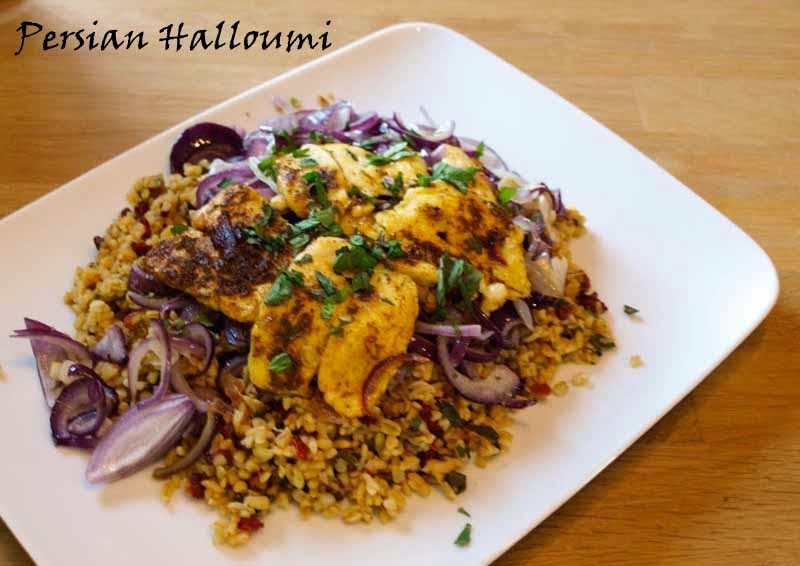 Coat the halloumi in the spice mix. Add 1-2 tbsp of olive oil to a large pan on a medium-high heat, once the oil is hot, add the onion and cook for 4-5 min or until soft and lightly caramelised. 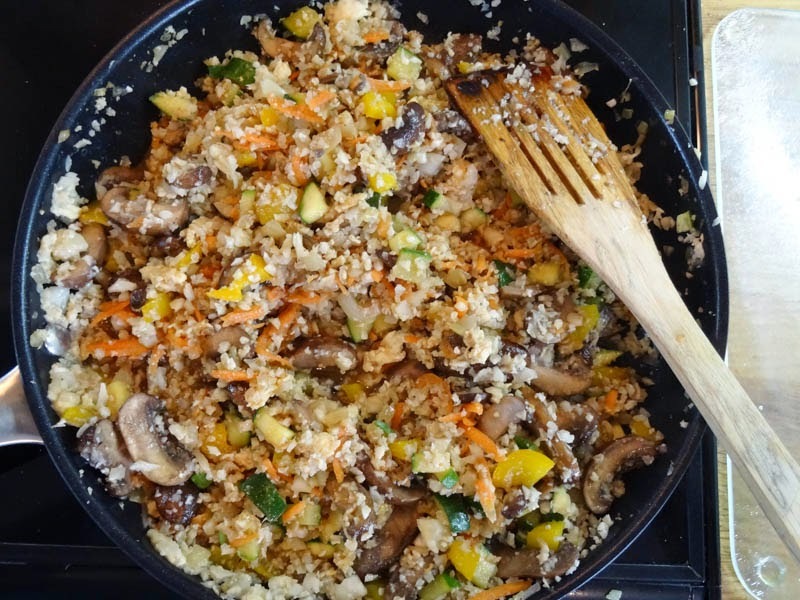 Add 3 tbsp of the barberry water to the bulgur wheat, drain the barberries and add to the bulgur wheat. Combine the barberry bulgur with the mint, lemon zest, remaining ras el hanout, pomegranate molasses and 1-2 tbsp of olive oil, season to your taste with salt and pepper. Push the onion to one side of the pan and add 1-2 tbsp of olive oil, add the halloumi and cook for 1-2 min on each side or until golden all over. Here you can see Camilla from FabFood4All on the left and Helen from Fuss Free Flavours on the right. 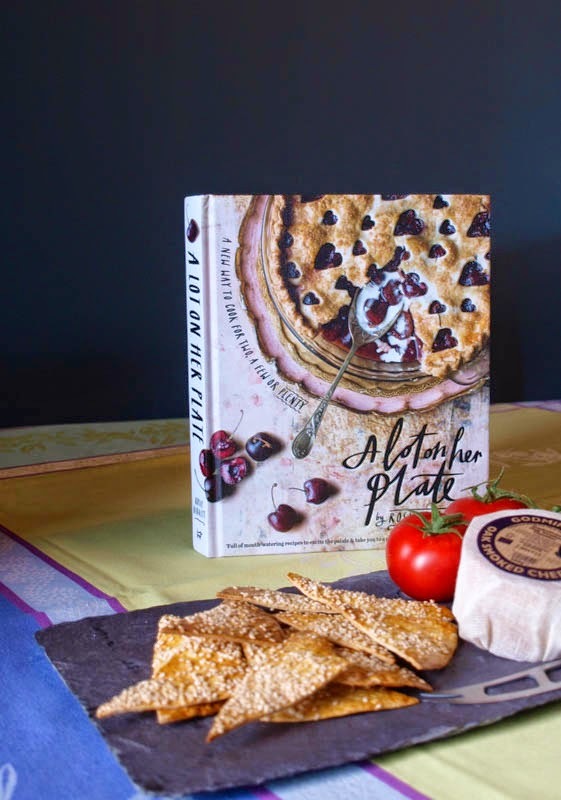 There wasn't much time for chatting and I didn't manage to see all of the other bloggers involved, but I did have a chat with Leslie Williams, the Dublin food writer, at the end of the cookalong when we were the only two left online. 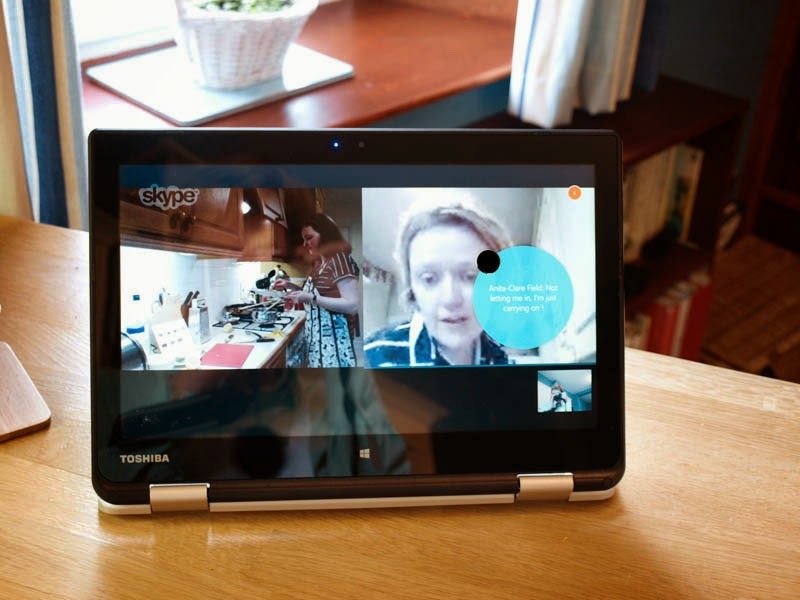 The built-in high-quality webcam and microphone on the Toshiba Radius 11 lets you easily chat with friends or take part in group Skype calls, as we did. 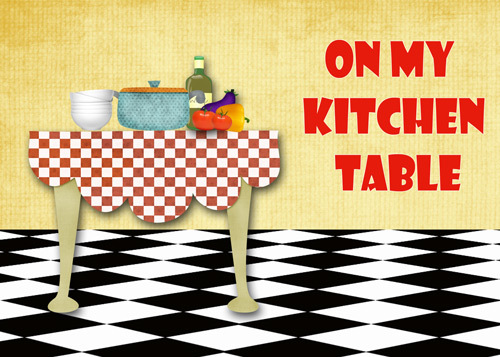 It would be a great way to talk your friend through a recipe with which they are unfamiliar. The Toshiba Satellite Radius 11 is a Windows 8.1 laptop and a tablet all in one. It was ideal for the Cookalong and also for viewing recipes online. 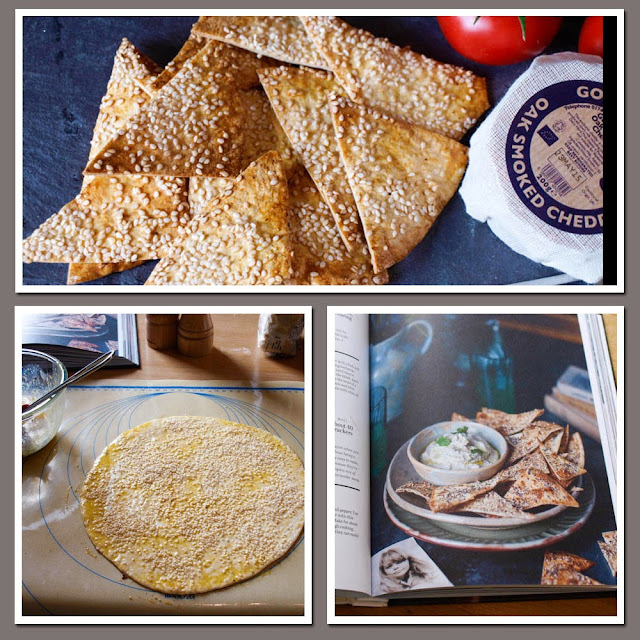 I use fewer cookbooks than I used to and often cook recipes by other bloggers, or from websites and, of course, I also return to Farmersgirl Kitchen to look up favourite recipes to make again. The versatility of the Toshiba Satelitte Radius 11 makes it ideal as a perfectly portable kitchen companion, The innovative hinge lets you transform the Satellite Radius 11 into any one of five different modes – laptop, tabletop, presentation, audience and tablet. Its touchscreen makes it easy to flick through recipes, or catch up on your favourite TV cookery programmes online and cook along in your kitchen at the same time. I also found it quite easy to set up and navigate my way around, much though I love my tablet, it is not very good for writing up blog posts and I enjoy having a proper keyboard and the full functionality of a laptop. 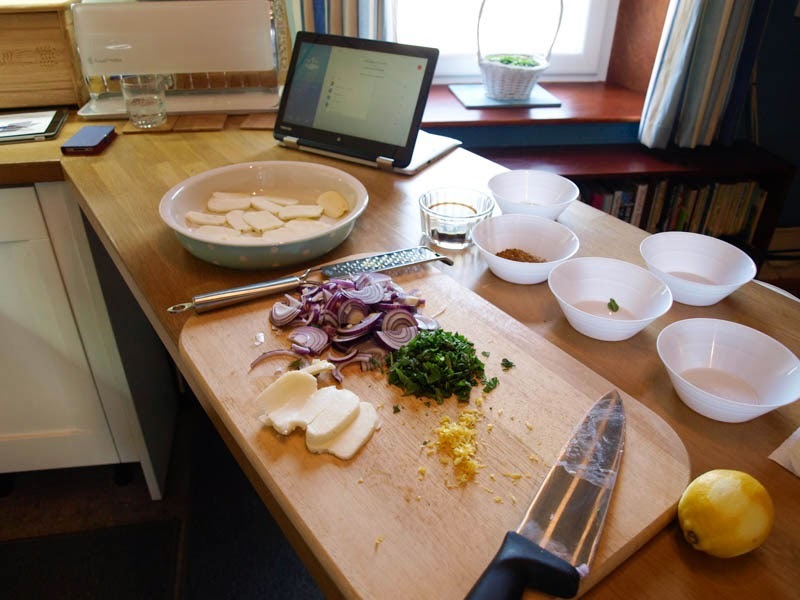 It's also amazingly compact, the Satellite Radius 11 easily fits onto kitchen worktops, and when in tablet mode the 29.5cm (11.6”) devices take up less space than a traditional cookbook, giving you more room to get creative. If you would like to try a Gousto box I have a code which will save you £20 on your first box, simply click through the code below to claim your discount. 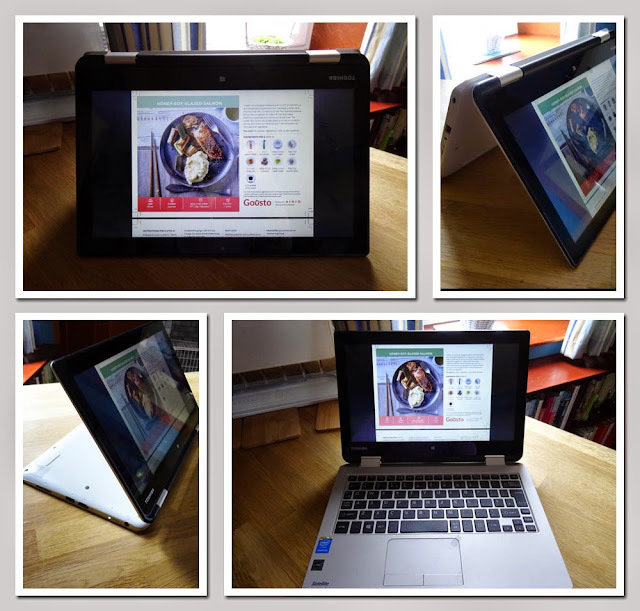 I received a Toshiba Satellite Radius 11 and a Gousto box in order to take part in the Cookalong. Back in Manhattan after college graduation, Frances is finding home claustrophobic. Her family's compact apartment feels ever more airless, and when her parents announce a divorce and her sister an engagement, Frances decides to flee. She seeks refuge in an apprenticeship at a Norwegian artists' colony in Lofoten, a string of islands ninety-five miles north of the Arctic Circle, to find only one artist: Alf, an enigmatic middle-aged descendant of the Sami reindeer hunters, who paints only in the colour yellow. Yasha an eighteen year old Russian immigrant raised in a bakery in Brighton beach, is kneading dough when he sees his mother for the first time in a decade. As he gains a selfish parent, he loses his beloved father. He must carry out his father's last wish to be buried 'at the top of the world' and reconcile with the woman who abandoned them both. So Frances's and Yasha's paths collide, millions of miles from their turbulent homes. Each has come to learn how to be along. And yet they find one another under the midnight sun, learning that it is ultimately love that gives us our place in the world. 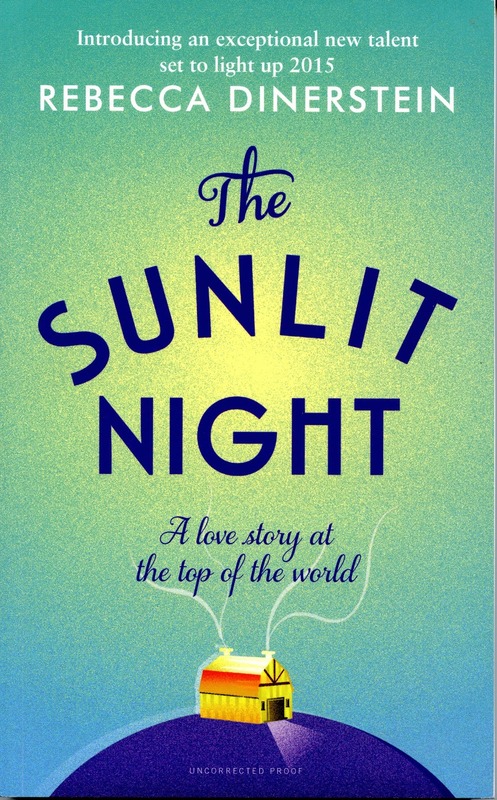 This is a delightful read, not at all what I thought it would be from reading the blurb, the characters are sensitively written and very believable, real people that I felt I could recognise. I found it a gentle and calming read, not my usual action and adventure type of novel but the plot still carried me along always curious to see what was going to happen next, what would happen to the characters and how they would respond to each new situation. I would thoroughly recommend this book. This slim volume contains real insight into human nature and the story flows over you with ease, the sign of really excellent writing. 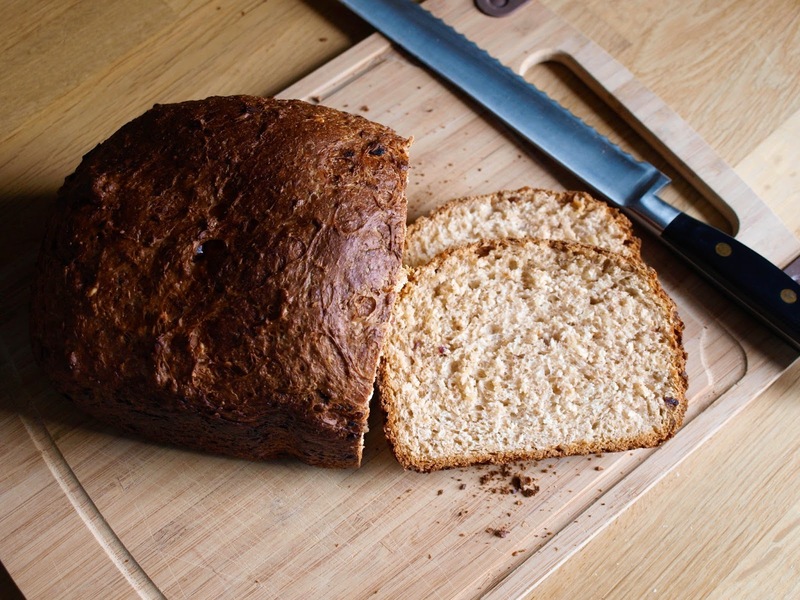 Now you might not think this bread I made had many bits in it, they are certainly not obvious but you can certainly taste them because this is Date and Coconut Bread. I seemed to have a surfeit of dates in my cupboard and some dessicated coconut I'd bought for another recipe, it seems like a good combination to go with and I was right. The bread is slightly sweet but not overpoweringly so. It is fabulous just with butter or as toast with marmalade, but would also work with cheese or with a soup like butternut squash or parsnip where there is already some sweetness. I made my loaf in the bread maker using the programme for fruit bread. This meant simply adding all the ingredients except the dates and coconut and using the fruit and nut dispenser to automatically add them in later. Mix all ingredients, apart from the dates and coconut, in a large bowl. Make sure the yeast does not come into direct contact with the salt when you first add them to the bowl. Knead well until the dough is elastic, smooth and shiny. Cover with a piece of cling film and leave to rise for one hour. Add the dates and coconut to the dough and knead again for 5 minutes until they are mixed through the dough. Either shape and place into a 450g (1 lb) tin or form into a round and place on a baking tray, leave to prove for an hour in a warm place. Bake at 220C/425F/Gas 7 for 30 minutes until golden-brown. Remove from the oven and cool on a wire rack. Have you seen or heard the trailers on BBC for the new series, "The Friends of English Magic"? Having read the book it's based on, Jonathan Strange and Mr Norrell, written by Susanna Clark, I can't wait to see how the realms of 'English Magic' are brought to life in this exciting new fantasy series which starts on Sunday 17th May at 9pm on BBC One. Centuries ago, when magic still existed in England, the greatest magician of all was the Raven King, a human child brought up by fairies. But in the early nineteenth century, he is barely more than a legend, and England, with its mad King and its dashing poets, no longer believes in practical magic. Now, in 1806, rumours begin to spread of the reclusive Mr Norrell of Hurtfew Abbey, and when he and his dazzling displays of magic appear in London, news quickly spreads of the return of magic to England. Persuaded that he must help the government in the war against Napoleon, Mr Norrell is challenged by another brilliant young magician, Jonathan Strange. Together they entrance the country with their feats of magic but their partnership soon turns to rivalry. Mr Norrell has never conquered his lifelong habits of secrecy, while Strange will always be attracted to the wildest, most perilous magic. Susanna Clarke lives in Cambridge with her partner, the novelist and reviewer Colin Greenland. 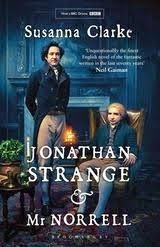 Jonathan Strange and Mr Norrell was first published in 2004 in more than thirty countries and shortlisted for the Whitbread First Novel Award, the Guardian First Book Award and the Authors Club First Novel Award. It won British Book Awards Newcomer of the Year, the Hugo Award and the World Fantasy Award in 2005. The Ladies of Grace Adieu, a collection of short stories, some set in the world of Jonathan Strange and Mr Norrell, was published by Bloomsbury in 2006. This is a curious book, written as if it were a real history with more footnotes than I have ever seen in a novel! The cast of characters are larger than life but all recognisable and quite transferable into modern life. I was particularly fond of Mr Segundus and Mr Honeywell who have a key role in the novel. Likewise the shallow socialites Mr Lascelles and Mr Drawlight are rather endearing. I could go on, but you should read it yourself, there are many characters, as many plots and sub-plots. The magical experiences are described in detail, I am not usually one for detailed descriptions, preferring action and dialogue, but somehow the pictures that are created are delightful and there is plenty of action to keep my attention. Anyone who enjoys loosely historical novels (there are some real events woven through the text), lovers of well-written fantasy and magic. Anyone who is looking for something a little different. Read the book, watch the series or do both, it will be a fantastical adventure that you won't want to miss. I'm hoping that the series will live up to the pictures the author has painted in my head and that Cuba Pictures and Feel Films will not edit out too much of the detail of the plot, as often happens. We shall just have to wait and see! 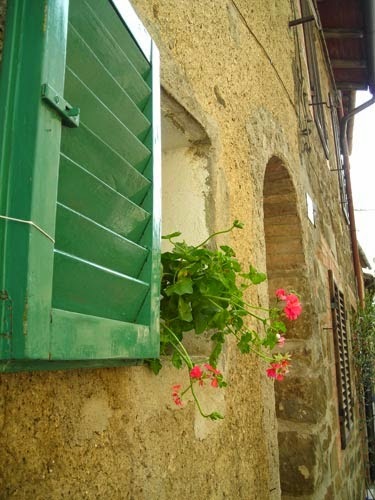 Of all the countries I have visited, my first choice would always be Italy. I first visited with my parents when I was 15 years old and immediately fell in love with the markets, the architecture and the art. It took until 2009 before I was able to return and found it was even better! Of course, for me, food is a really important part of my holiday and it's lovely to try to recreate dishes that you have tasted on holiday. Getting the right ingredients makes all the difference when making dishes from another country. 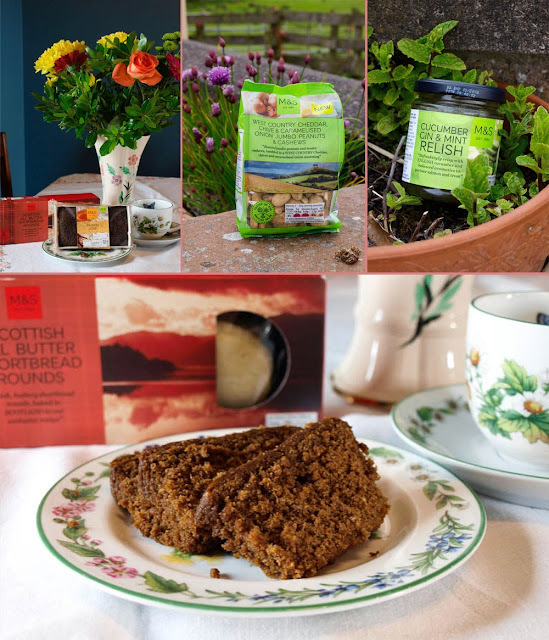 I was delighted when UFUUD contacted me to try some products from their extensive selection. UFUUD is the UK’s place to buy Italian food online, it is synonymous with high quality and tradition. 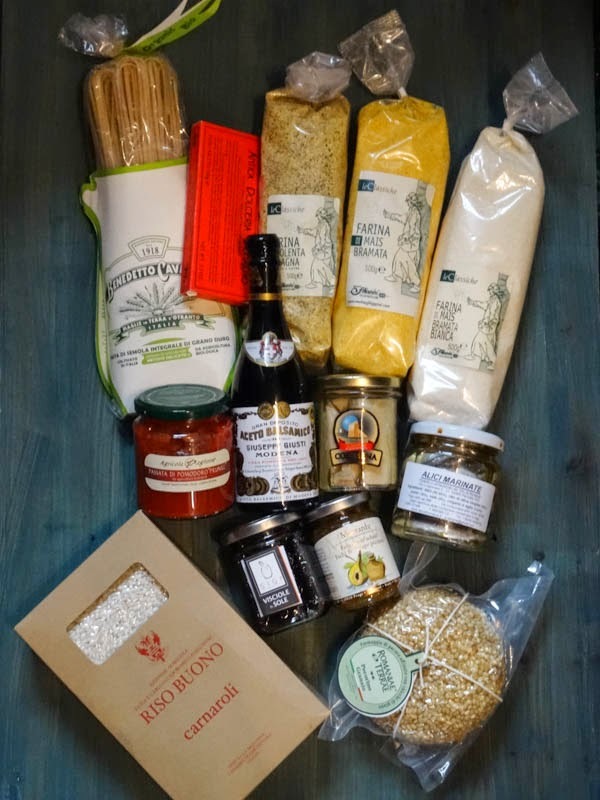 As the number one portal in the UK to purchase traditional products, they offer a wide array of exclusive goods that come from 60 local producers throughout 16 regions of Italy. 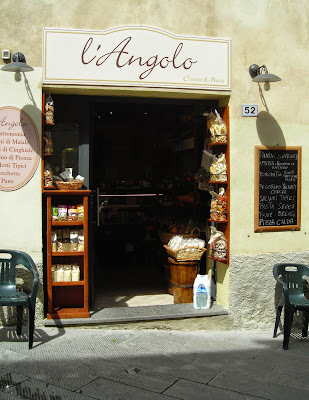 Some of their most popular products include cold cuts, pasta, ready-made sauces, oil, rice, vinegar and sweets, to name a few. At UFUUD they have the passion to satisfy the tastes of everyone looking to savour the tastes that are the foundation of our country’s gastronomy. The website it easy to use and each product comes with detailed information about the product including the ingredients (where appropriate) conservation information and chef's advice. Search the site by FOOD, DRINK, ORGANIC OR PROMO. 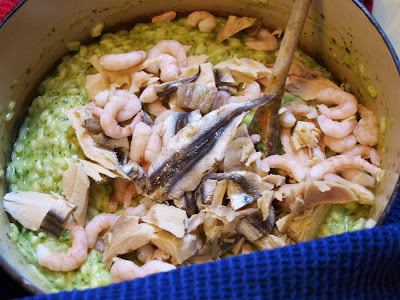 The products in the photo collage above were used in the Seafood Risotto. 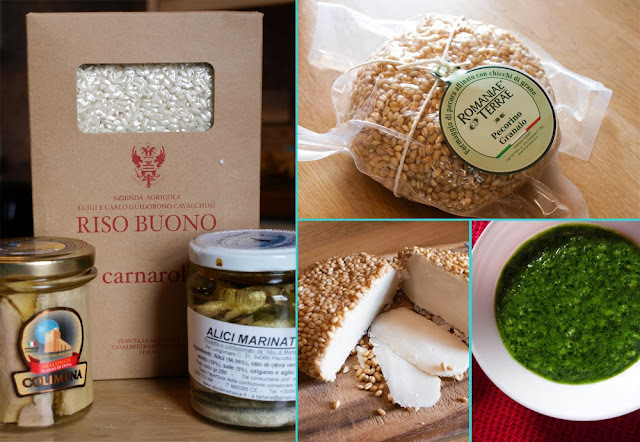 The carnaroli is a lovely quality, creamy but it didn't disintegrate when cooked in the risotto. I loved the big soft chunks of long fin tuna, quite unlike those I usually buy in a tin, it was much more like real fish. The marinated anchovies were soft and delicious and not overly salty. The Romaniae Terrae Pecorino caused some comment from the family who asked why I had a 'roll' in the fridge! The cheese is semi-hard and has a good strong flavour. I found the wheat berries a bit of an annoyance as they are too hard to eat. I dare say they add flavour to the cheese. The other ingredient is my wild garlic pesto. 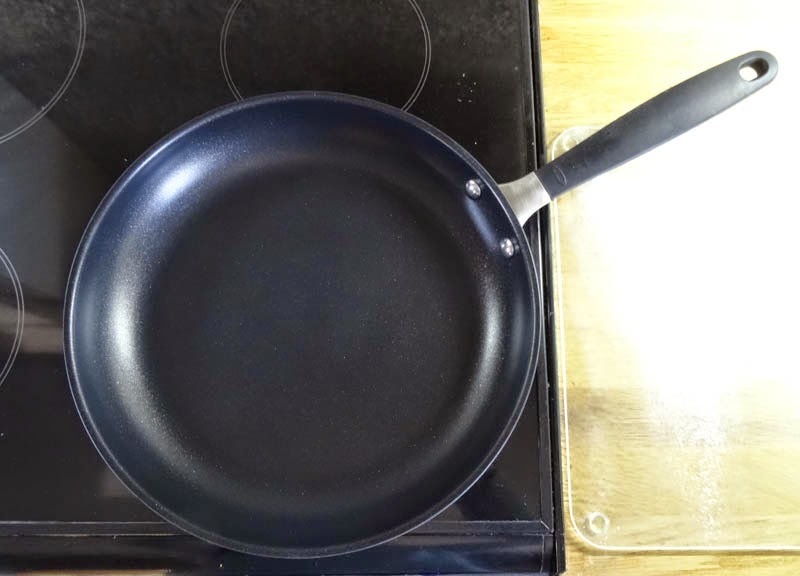 Heat the oil in a large frying pan over a medium heat. Add the onion and cook, stirring, for 5 minutes. Add the rice, stir for 1 minute, add a 50ml of stock and simmer until evaporated then add 400ml of the stock and simmer again, stirring occasionally, for about 8 minutes, until most of the stock has been absorbed. 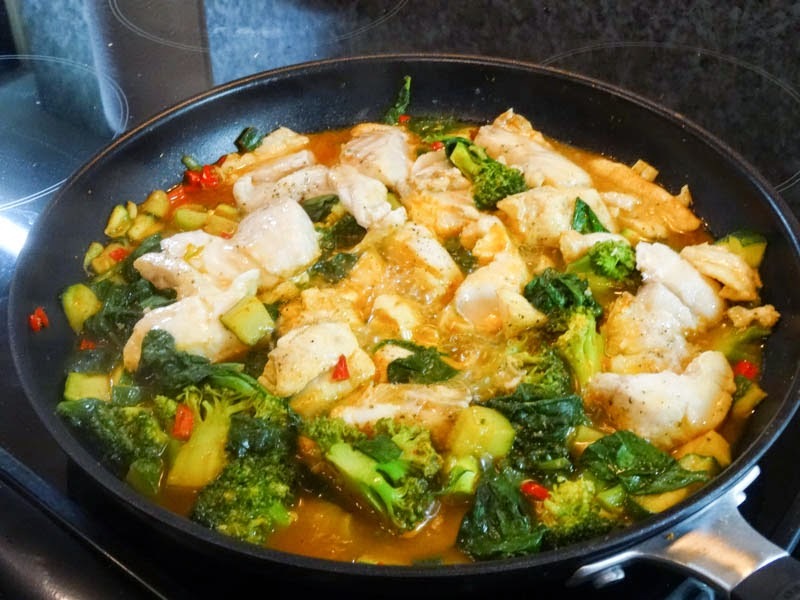 Add the remaining stock and repeat, cooking for a further 10-12 minutes, until the rice is cooked but still has a slight bite to it. Stir in the pesto and cook for 1 minute. 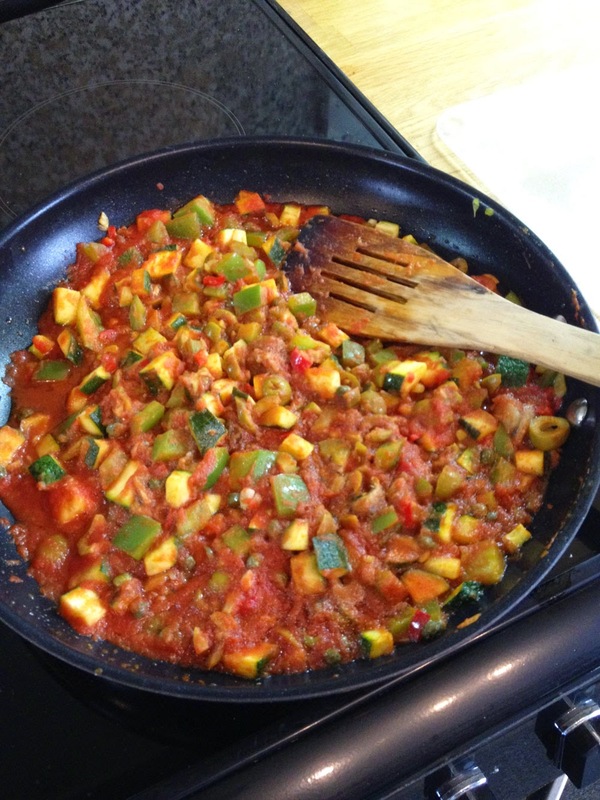 Remove from the heat, stir in 60g of Pecorino finely chopped or crumbled and season to taste. Add the tuna, anchovies and prawns and gently stir into the risotto. Serve with the remaining 40g of Pecorino in finely shaved slivers over the top. 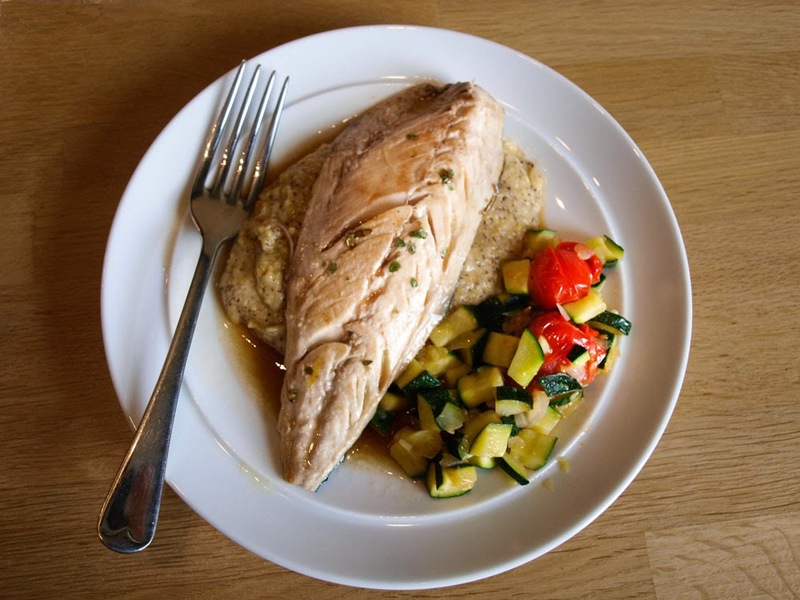 Other dishes that I have made with the goodies from UFUUD are Taragna Polenta for my Mackerel with Madeirean Special Sauce. I used a little of the left over chocolate pastry from the Double Chocolate Tartlets to make some mini tartlets and filled them with a mixture of cream cheese, double cream, some of the juice and chopped up cherries from the Sun-Cooked Morello Cherries and, of course, a cherry on top, absolutely gorgeous. The only thing about these cherries is they have the stones in, so you do have to be careful of your teeth! The Cinnamon Chocolate Bar is rather gritty in texture, but has a really good chocolate flavour. 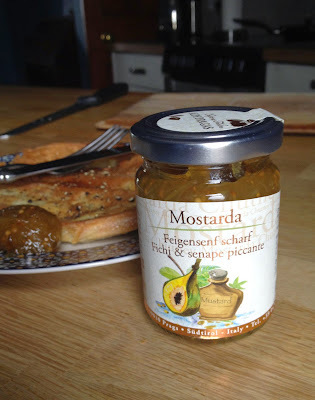 This little jar of Mostarda, Spicy Fig Mustard, undoubtedly stole the show. I just loved the contrast of the sweet, jammy fig chutney and the spicy mustard. At £9.00 it's expensive for 160g so definitely a special treat. It would be possible to buy substitute products at a much lower price, but it is precisely the quality of the products that UFUUD stock that makes them worth having. 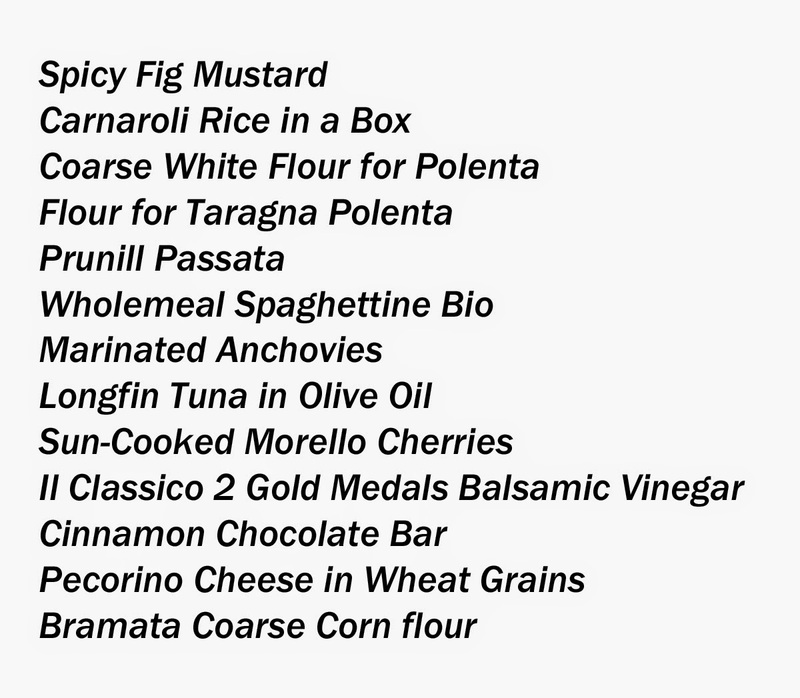 Not everything is expensive, many of the products such as the pastas and polenta are good value, as well as good quality. But there is no doubt that UFUUD provide an authentic deli experience and I certainly will be visiting again. It's nice to be able to impress your friends and family with a dessert that looks like it was made by a pastry chef, but I often feel those fancy French pastries are beyond my ability or available time. 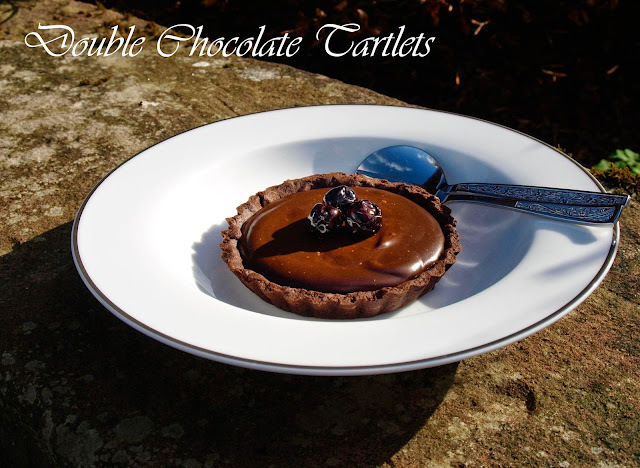 I had heard that chocolate pastry was really difficult to work with and ganache seems like a tricky thing to make, however nothing could be further from the truth as you can see from these Double Chocolate Tartlets. It's all thanks to Jill Colonna, author of Mad about Macarons, the book where she debunked the myth that macarons are difficult to make, (see The Great Macaron Challenge) this time she has taken on the challenge of making French Patisserie recipes accessible to all in her new book Teatime in Paris. The book begins with some introductory chapters demystifying Parisian pastry, "How the French eat pastry and yet can stay slim" and a very useful chapter entitled "French Pastry a step at a time". Jill then goes on to provide some notes on ingredients to help you make a success of your bakes. Then we get into the recipe chapters, each has a story sometimes a little history all of which makes this an entertaining read as well as a practical cook book. Something for Teatime: Honey, Rose and Green Tea Madeleines; Almond Tuiles and Speculoos Ice Cream. French Tartlets: Caramel, Walnut and Maple Tartlets, Double Chocolate Tartlets (see below) and Fast Fig, Almond and Lavender Tart. Millefeuilles; Mint and Strawberry Millefeuille and Wild Blackberry Millefeuille. Parisian Macarons: Step by Step guide to making macarons; Salted Caramel Macarons; Raspberry, Lime and Tarragon "Maclairs" and Rhubarb and Poppy Macarons. A French Tea Party: Paris-Brest-Edinburgh Choux-Nut, Lime and Bitter Chocolate 'Maclair' Tartlets and St Honore with Violet. Towards the end of the book a chapter called Favourite Sweet Walks in Paris takes you on a guided walk around the "City of Light" pointing out some of the famous and best patisseries in Paris. Finally there are a few suggestions for essential and luxury baking equipment. Who is it for? Anyone who likes to bake and is looking for a little bit of a challenge, but likes the idea of a helping hand and simple instructions written not by a pastry chef but by a home baker like themselves. Pros: A wide range of fancy pattiserie, cakes and dessert recipes are provided. The step by step instructions with pictures are really clear and there are lots of extra tips from Jill. I also like that you have the basis for creating your own variations on the recipe. Cons: If you already have Mad about Macarons, then you already have the instructions on macaron making, although there are some new flavours to entice your palate. The Verdict: Programmes like the Great British Bake off have brought pastries like Paris Brest, macarons and all manner of fancy tartlets into the British consciousness as something that can be made at home. This book gives you the tools to create these yourself and, if my experience is anything to go by, Jill's recipes make them much easier than you would think. Having visited Sacré-Coeur and dodged past the giant rolls of colourful fabrics at the bottom of Montmartre’s bustling hill, head to Rue des Martyrs to escape the summer crowds. The further south of Pigalle (SoPi) you walk towards the 9th district, the more tempting pastry and chocolate boutiques appear. One of my favourites is Sébastian Gaudard and just across the road is a little chocolate shop and yet more pastries at Arnaud Delmontel. 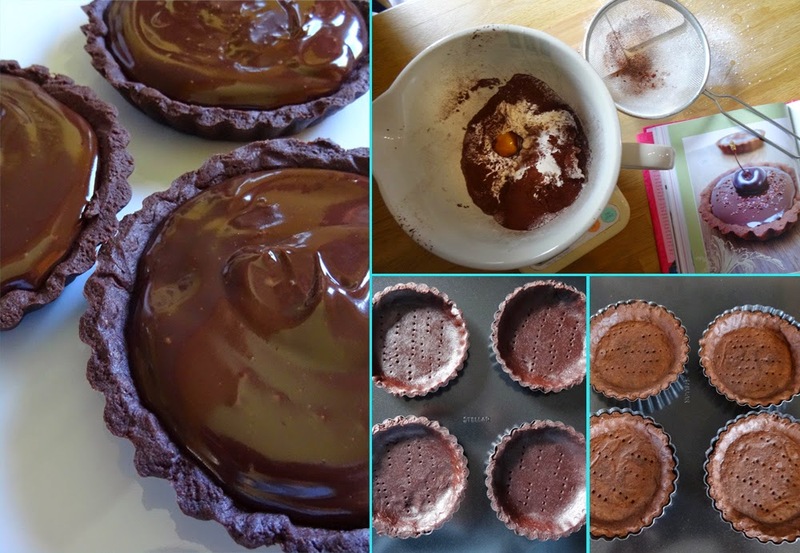 The beauty of these chocolate tartlets is that the variations are endless. Serve them plain with a simple dusting of unsweetened Belgian cocoa powder, or spoon a tablespoon of jam on the bases before pouring on the ganache and topping with fruits. Using a stand mixer with a paddle beater, slowly mix the butter, sugar and salt until pale and creamy. Just for a few seconds, gradually add the other ingredients until the dough is well mixed, then stop. Form a ball, wrap in clingfilm and chill in the fridge for at least an hour. Cut out eight tartlets. Bake the tartlets for 10–15 minutes at 160°C/320°F fan (Gas 4). Allow to cool, and remove from their moulds. To make the ganache filling, break the chocolate into chunks in a bowl. Heat the cream with the vanilla extract in a saucepan until nearly boiling. Pour over half of the hot cream directly into the bowl of chocolate. Stir using a wooden spoon and combine until the ganache is smooth. Top with the rest of the hot cream and stir until completely melted and silky. 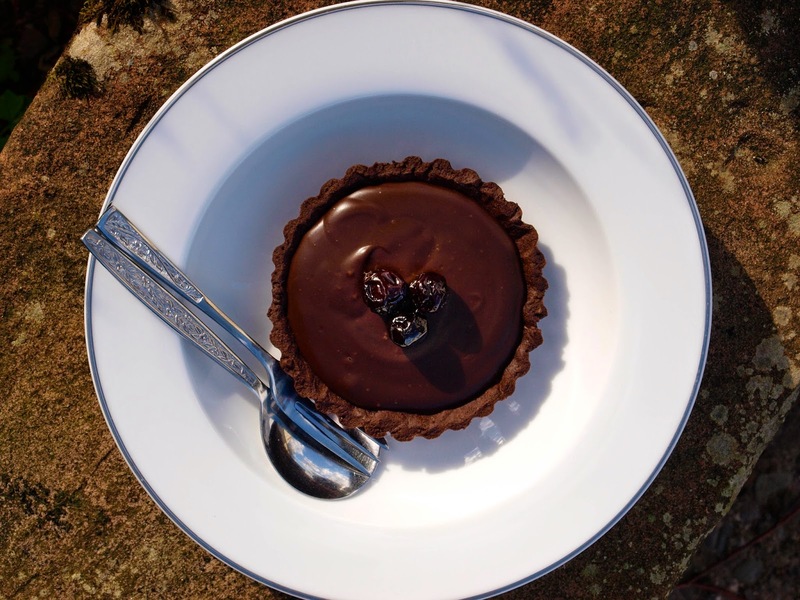 Pour the hot ganache into each tartlet and top with a cherry, berries or keep plain. Leave to chill in the fridge for at least an hour to set. Take the tartlets out of the fridge 30 minutes before eating. Infuse the seeds of 12 cardamom pods and a teaspoon of grated ginger in the cream while making the ganache and serve with a mango and passion fruit salad. Why not spread the bases with thick cut marmalade and top with Cape gooseberries? 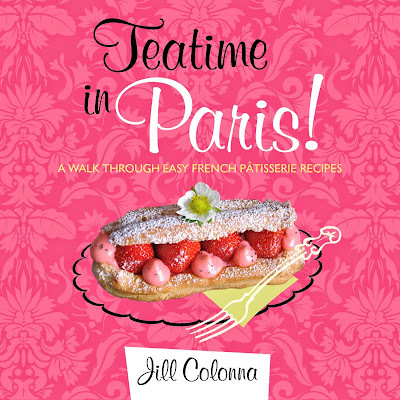 I have one copy of Teatime in Paris to give away. Simply follow the instructions on the Rafflecopter widget below. UK entries only please. I'm entering the Double Chocolate Tartlets for three different challenges. Treat Petite is featuring Eurovision treats this month and as this is French patisserie, it qualifies (douze points s'il vous plait). Treat Petite is the brain child of Stuart at Cakey Boi and Kat at The Baking Explorer. And finally, one of the first ever blogging challenges We Should Cocoa, the theme is always chocolate but this time with Vanilla, which this recipe contains. The 'We Should Cocoa' Linky's home is at Tin and Thyme, the blog of Choclette Cacao, but it's being hosted this month by Karen at Lavender and Lovage. Apologies for posting a little late , I don't seem to have caught up with myself this month at all! 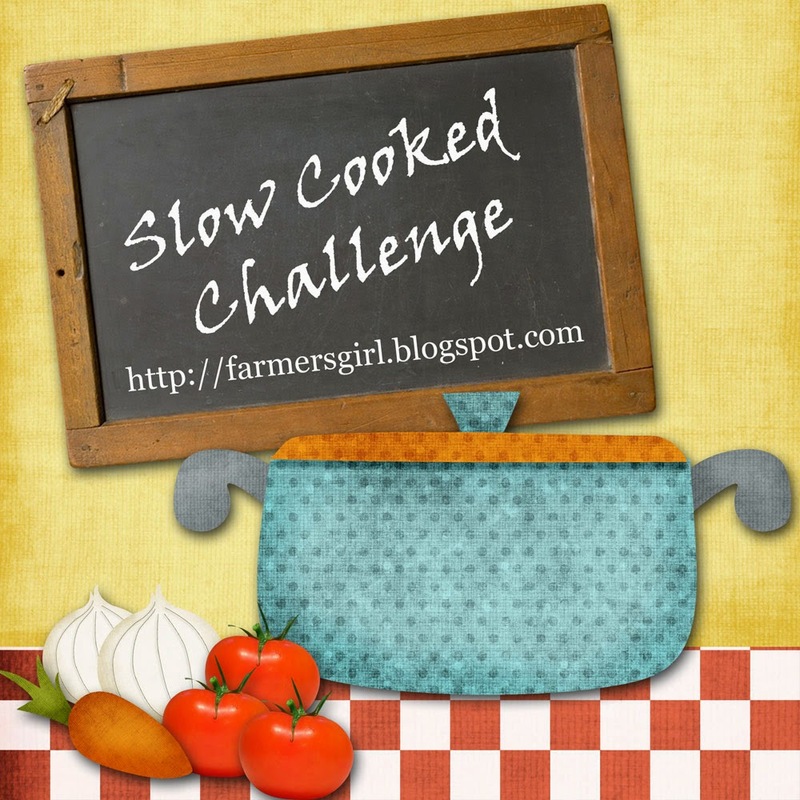 Thanks to everyone who took part in the April Slow Cooked Challenge, you can see the recipes on the Linky at the bottom of the April post. I'm keeping the Linky on this page open for two months this time and there is no theme, so anything you make in your slow cooker, or other slow cooked method, can be linked up. After that there will be a break for July and August (I found last year that entries dried up when the better weather arrived!) and the challenge will be back with a bang in September. 1. 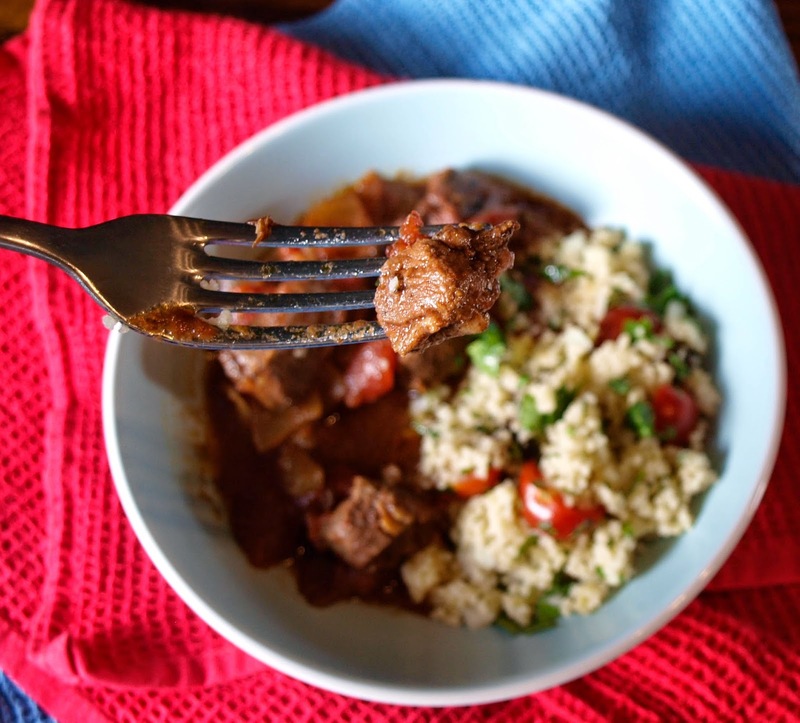 Cut the lamb into chunks and place into the slow cooker with all the other ingredients. 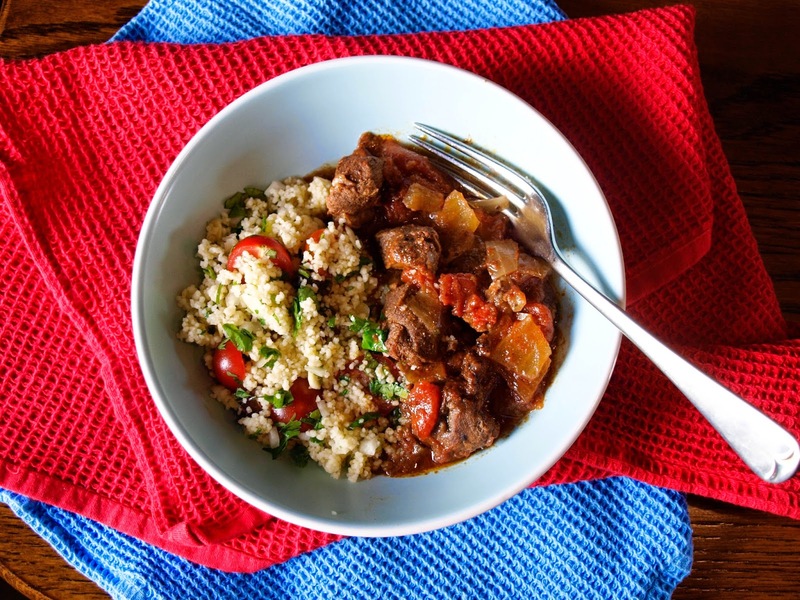 You can cook this succulent, tender lamb dish your oven on a low heat (140C) for 2-3 hours although you may need to add more stock as it will evaporate more quickly. I got my Ras El Hanout from the Spice Kitchen an online shop specialising in high quality hand-blended and home ground Indian Spices. They source the freshest spices from around the world, hand blend, roast and grind them and pack them carefully. The spices smell incredible when they arrive through the post. Ras El Hanout is a common Moroccan spice mix. The name is Arabic for "head of the shop" and implies a mixture of the best spices the seller has to offer. 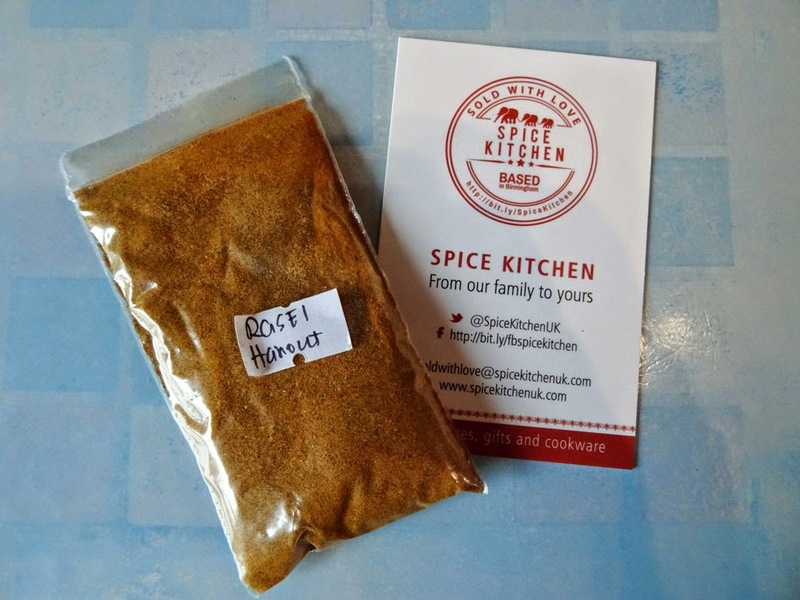 Ras el hanout is used in many savoury dishes, sometimes rubbed on meat or stirred into rice. 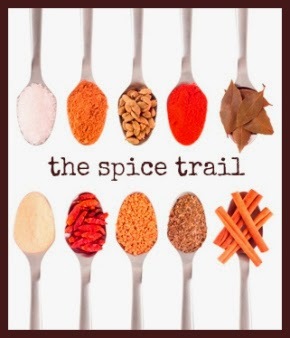 Cloves, Mace, Star Anise, Cayenne Pepper, All Spice, Cardamon, Black pepper, Sugar, Cinnamon, Coriander, Cumin, Ginger, Nutmeg, Paprika, Salt, Turmeric. I'm entering this recipe for The Spice Trail the blog challenge run by Vanesther at Bangers and Mash, the theme this month is 'Your favourite Spice Mix' and I do love a Moroccan spiced recipe. 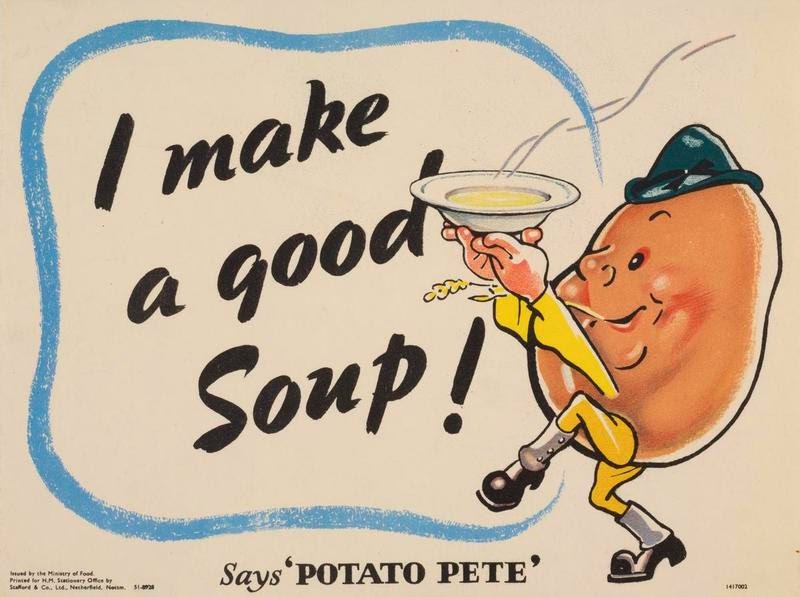 To celebrate the 70th anniversary of the end of the Second World War in Europe (VE Day – 8 May 1945), Potato Pete is being brought back to life through wartime recipes which have been given a modern makeover. Though times have changed, potatoes remain a British favourite and are still helping the country enjoy a healthy, balanced diet. 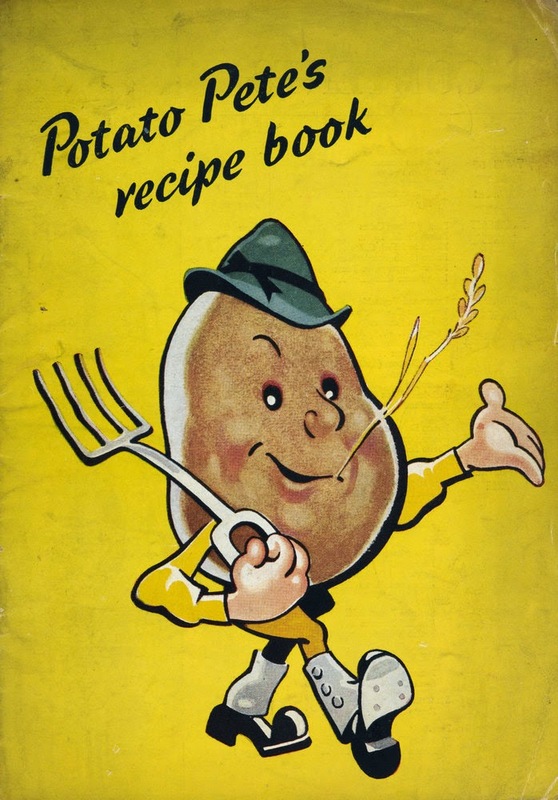 Potato Pete was a fun character created by the Ministry of Agriculture & Food to inspire people to eat more potatoes and maintain their health during the Second World War. 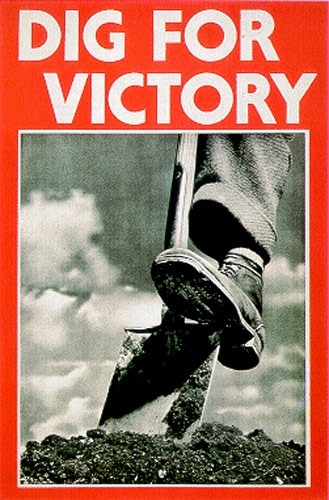 Families were encouraged to make use of their gardens or allotments to grow vegetables through the ‘Dig for Victory’ campaign. At its peak, there were 1.4 million allotments in Britain. 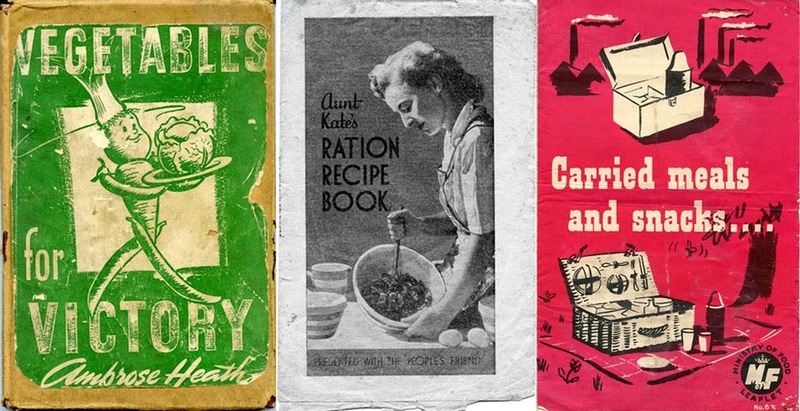 Dietitians argue that wartime diets were amongst the healthiest the British population has ever eaten, which in turn led to improvements in the nation's health. Potatoes are the original superfood, with research* showing children get more Vitamin C, B1, B6, Folate, Iron, Magnesium and Potassium from potatoes than from the 5 superfoods; beetroot, bananas, nuts, broccoli and avocado combined. Average intakes of potassium, iodine, folate and vitamin B6 are more than 10% higher in adults who regularly consume more potatoes rather than alternative carbohydrates such as pasta or rice. The average intakes of potassium, folate, vitamin A and vitamin B6 are also more than 6% higher in children who consume potatoes regularly. 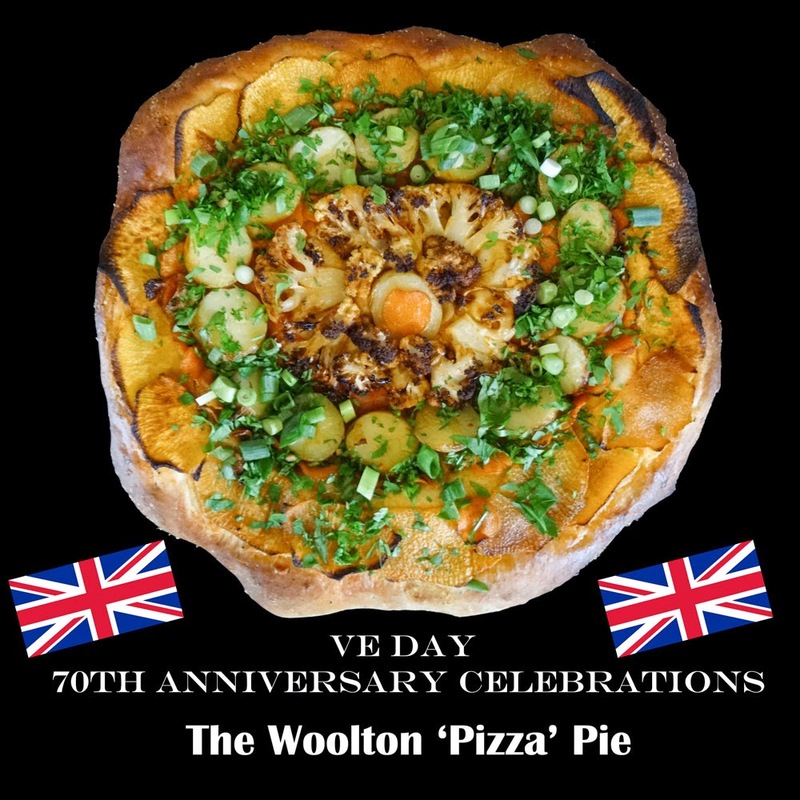 Woolton Pie is a tasty and nutritious vegetable pie that could still be made during times of rationing and food shortages. 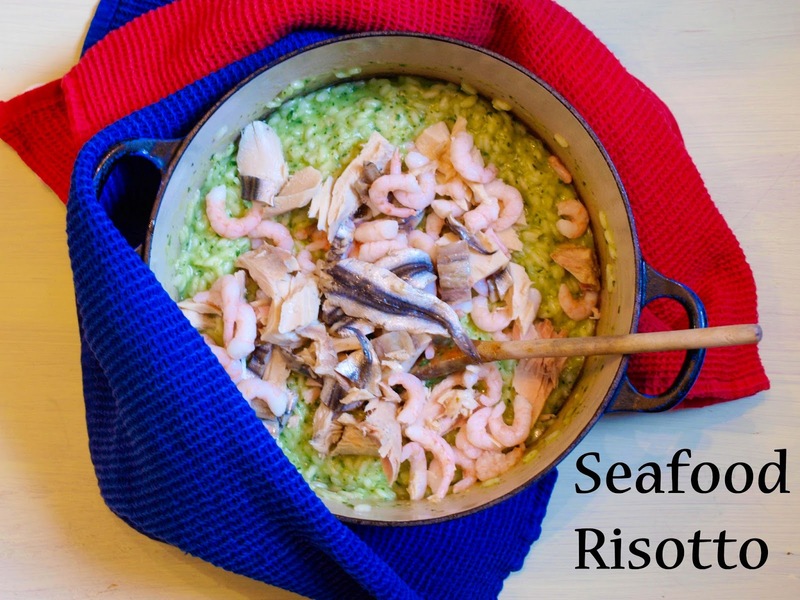 It's one of the most famous war time recipes, named after Lord Woolton, he helped to make the recipe popular when he became Minister of Food in 1940. 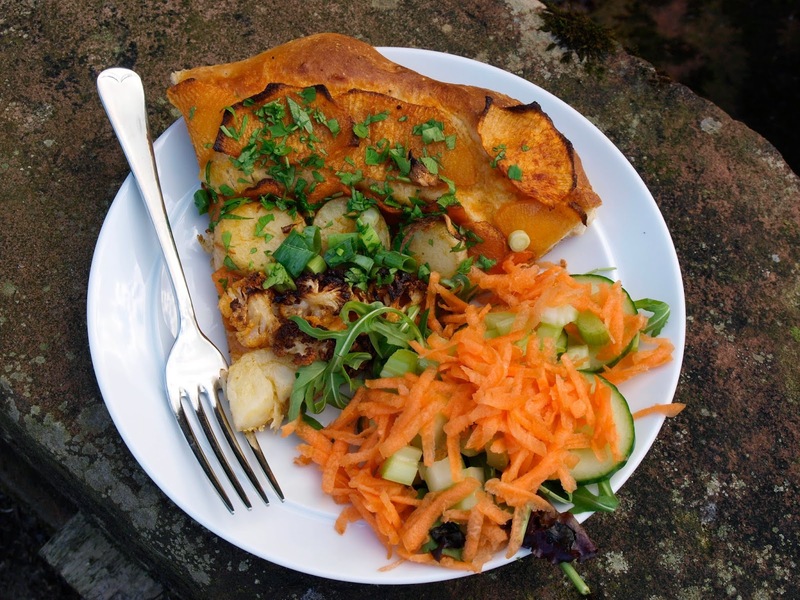 I've taken that recipe and updated it to make the kind of 'pie' that many of us enjoy weekly - a pizza pie! Put the flour in a large bowl and add the sugar, salt and the yeast, keeping the the salt and yeast away from each other. Add the olive oil, butter, milk and potatoes and mix. Add the water a little at a time until you have a smooth, soft dough. 5. When the dough is rising, prepare the vegetables. 7. Parboil the potatoes until tender but not fully cooked, leave to cool. 10. Place the swede, carrots and cloves of garlic in roasting tin with the oil and sprinkle with the paprika, mix together so the oil and paprika cover the vegetables. 11. 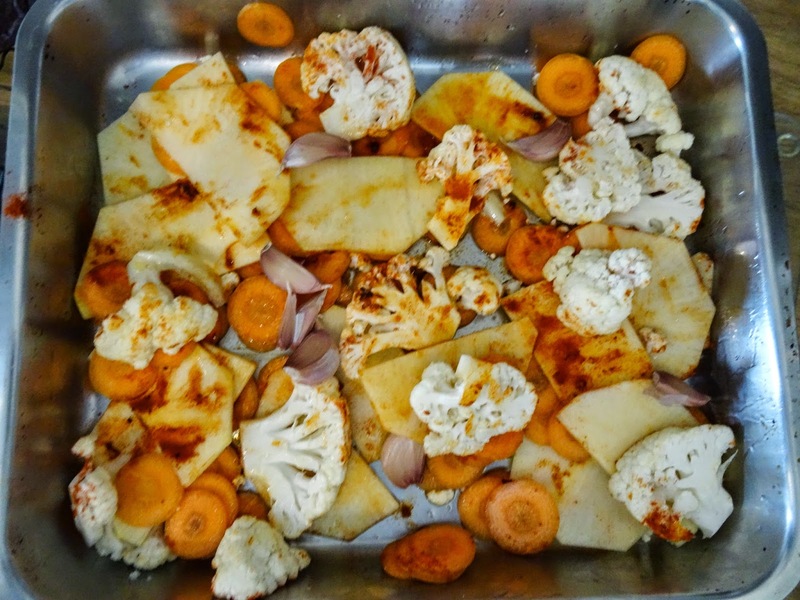 Roast for 10 minutes until the vegetables start to soften, then add the cauliflower, mix it in with the oil and other vegetables and roast for another 5 minutes. 12. Remove and leave to cool. The dough is quite soft, so using oiled hands, press it into a circle on your baking tray. Squeeze the softened garlic from the roasted garlic cloves and spread over the dough. 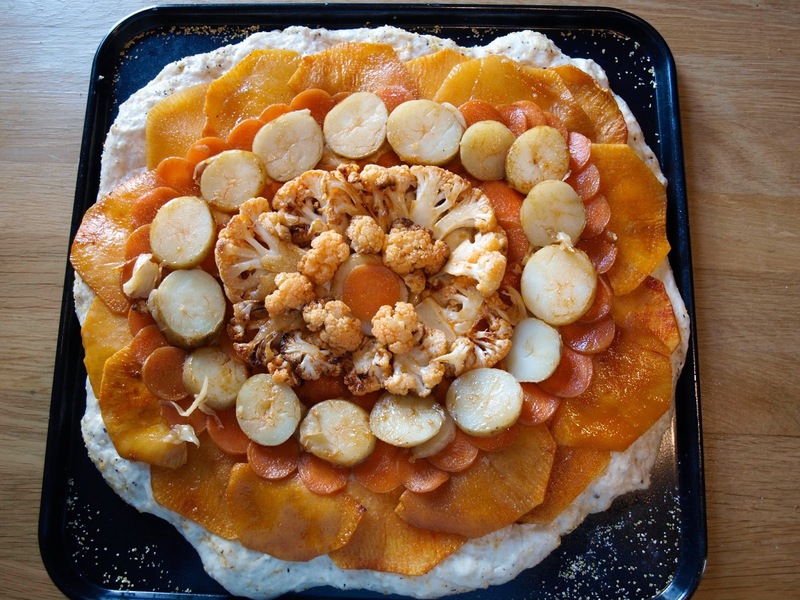 Fill the centre with the roasted cauliflower florets, adding a single carrot slice in the centre if liked. Cover with cling film and leave to rise again for 30 minutes. Bake at 200C for 20-30 minutes until the base is golden brown, if the vegetables start to brown to quickly, cover with a piece of foil. Serve hot from the oven sprinkled with parsley and spring onions. The Woolton Pizza Pie tasted amazing, way better than I had hoped. 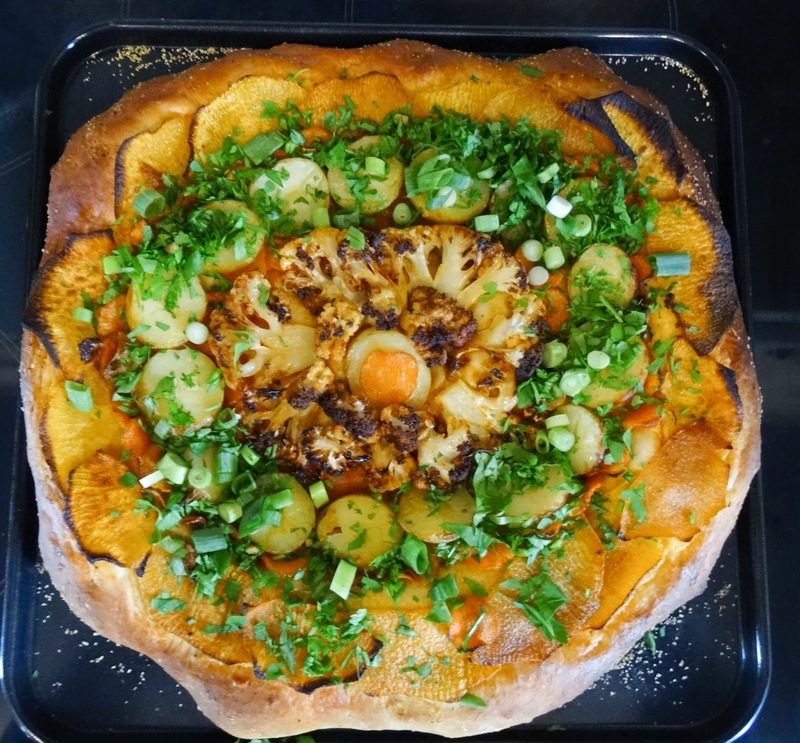 The potato bread dough was really light and fluffy, the swede and carrots added sweetness, the potatoes added substance to the topping and the cauliflower roasted with smoked paprika was really delicious. A little fresh greenery on top lifted the flavours and the pizza was very filling as well as being really cheap to make. I served it with a salad of leaves, cucumber. celery and grated carrot. The Woolton Pizza is also very good cold, in fact cold potatoes are one of my favourite things. If you are interested in more potato recipes you can find a huge range of recipes at Love Potatoes including more retro recipes with a modern twist. For more Wartime recipes follow the Wartime Kitchen Pinterest Board which I share with Karen at Lavender and Lovage. 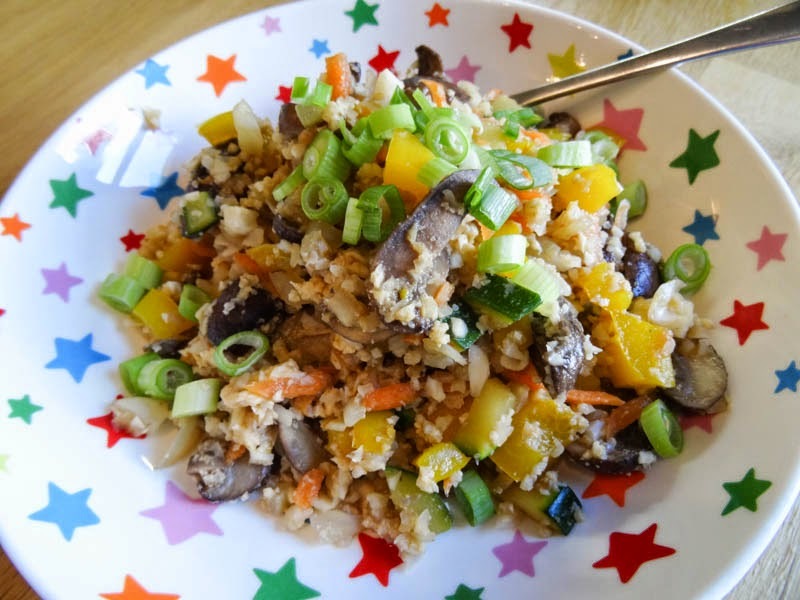 Karen is also celebrating VE Day with a recipe for 'Whit Salad' a very clever way to overcome the egg ration, so make sure you visit her amazing blog. 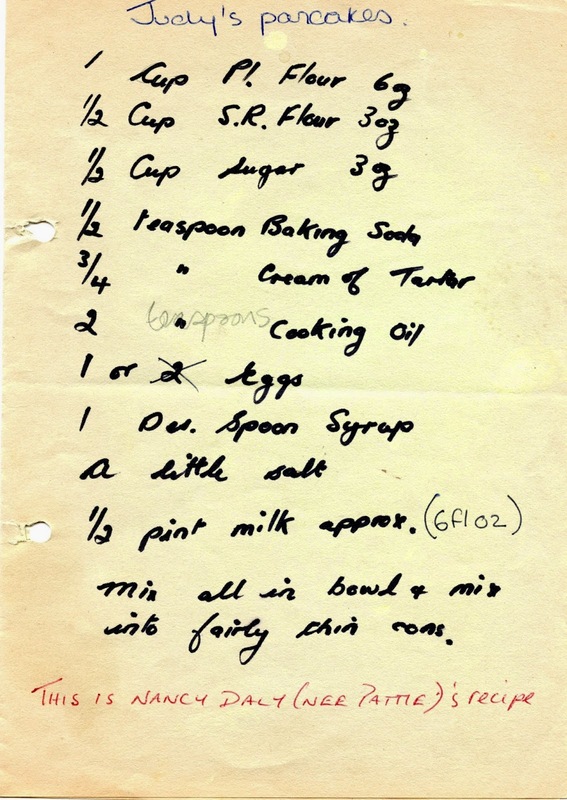 Galina at Chez Maximka is also featuring a VE Day potato recipe, her grandfather's favourite potato vareniki with a poignant family story. 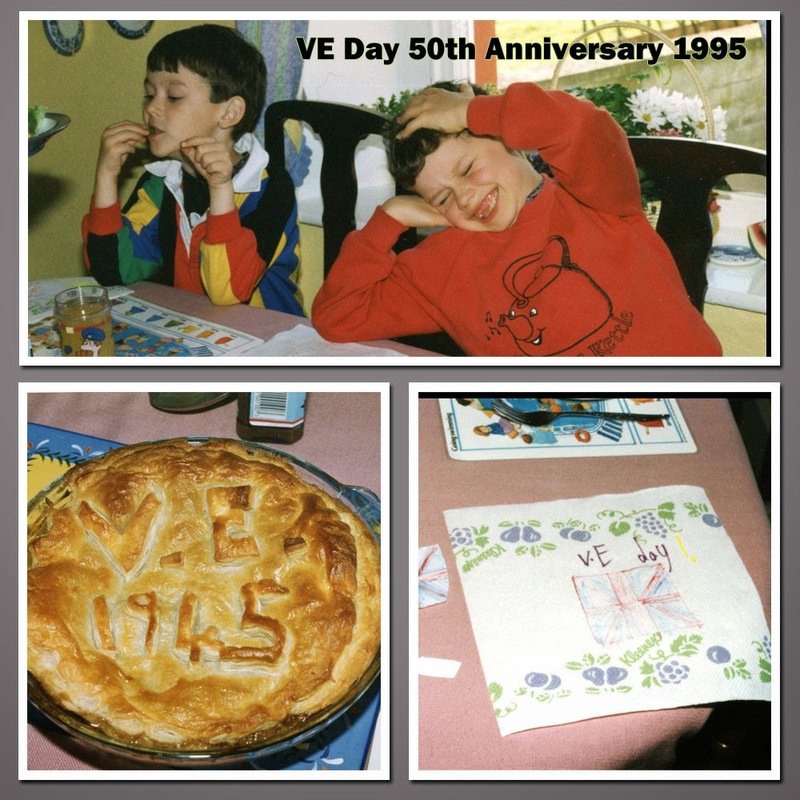 Just for a fun, here is how our family celebrated the 50th Anniversary of VE Day in 1995, with a mince pie and hand decorated napkins.